… bring up and interesting perceptual dilemma. Namely, that they can be perceived as three simultaneous tempo levels. The notes marked forte can be perceived as downbeats, the piano notes as upbeats; this creates a half-speed tempo. While it’s less intuitive, the piano marking can also be perceived as the downbeat, with the forte sounding like a strong anticipation. 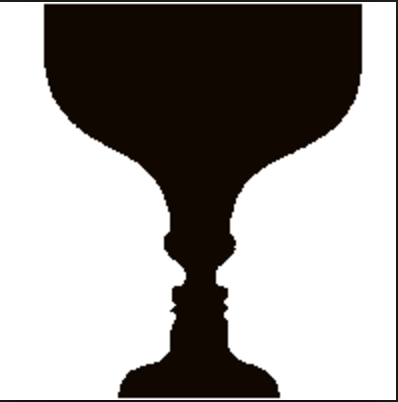 Both things occur simultaneously, much like the common image of the wineglass and/or two faces. That gives us two half-speed tempos, along with the original tempo. Three in one! The ambiguity here creates a really interesting kind of tension as we flip between three different experiences.